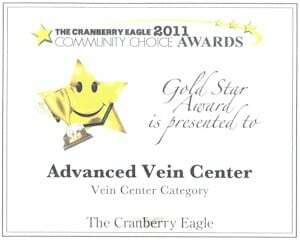 When choosing a Vein Clinic or Vascular Lab to entrust the care of your legs, there are several things to consider. Foremost is the skill and training of your physician. Our Physicians are Board Certified in Surgery and have years of experience treating veins with great outcomes in both comfort and appearance. Their treatment philosophy encourages them to offer a full range of treatment modalities to treat the entire spectrum of vein disease. All treatments begin with a very thorough Vein exam that includes a Doppler Ultrasound exam. Our lab has achieved Ultrasound accreditation from the ACR (American College of Radiology). 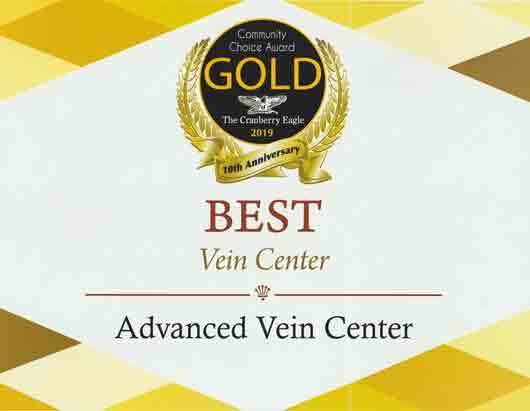 The Advanced Vein Center prides itself on maintaining this very strict and regulated accreditation based on quality control criteria. 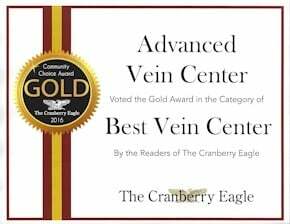 If your vein center is accredited by the ACR, it shows a dedication to the quality care and treatment of patients, following only the highest standards. Dilated blood vessels, called spider veins, are small purple or red veins that can form from a trauma when hit. They are smaller in size by comparison to a varicose vein, but are often more noticeable and darker because they are toward the skin’s surface. Women are more at risk for acquiring spider veins as they can be triggered through hormonal variations, such as hormone replacement therapy or pregnancy. The resulting symptoms of Charley horses, restless leg syndrome, night cramps in the arch or calf, itching, minor pains and aches. 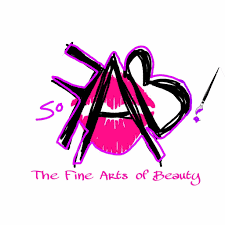 Spider veins can be found on the chest, face (sides and on nose), legs and ankles. Commonly considered to be an aesthetic problem,spider veins may be an indication of serious vein disease beginning below the skin’s surface. The only way to tell for sure is a Venous doppler ultrasound exam. These are symptoms of vein disease. It’s also something we can help alleviate for you. You don’t have to live in pain. Our Registered Vascular Technologists (RVTs) will spend about an hour per leg mapping your veins to provide our physicians with an accurate road map to create your own personal treatment plan to treat your painful leg symptoms. 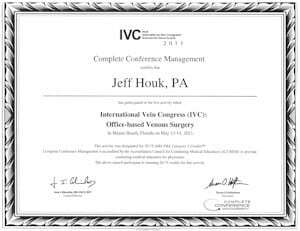 Most patients varicose vein procedures are covered by insurance. The Doppler Ultrasound Exam is a required first step to verify Medical Necessity, and to make sure your symptoms are caused by venous reflux, which we can treat at the Advanced Vein Center. You may have a DVT (deep vein thrombosis) which is a life threatening problem that needs addressed immediately. If this describes you, call immediately. See our FAQ for more info on DVTs. After a thorough History and Physical, you will continue into the Doppler ultrasound Exam room where the RVT uses a Transducer to gently and completely scan your leg veins. This is very similar to an Ob ultrasound exam when the technician views the baby with the ultrasound probe. It does not hurt at all. 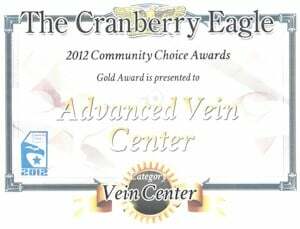 The transducer is so sensitive that our Vein Doctor in Cranberry Twp can actually watch the vein valves opening and snapping shut. We then measure how many seconds it takes the vein valve to snap shut, and if blood leaks backwards down the leg vein and causes swelling that is called REFLUX. This condition is covered by most insurers. Depending on the size of the abnormal veins and the severity of the reflux, our physician will discuss his recommended treatment options and plan to prevent many of the complications that come from untreated progressive vein disease. Q: Does Ultrasound have disadvantages? A: Ultrasound does not have any harmful side effects and doesn’t use ionizing radiation. 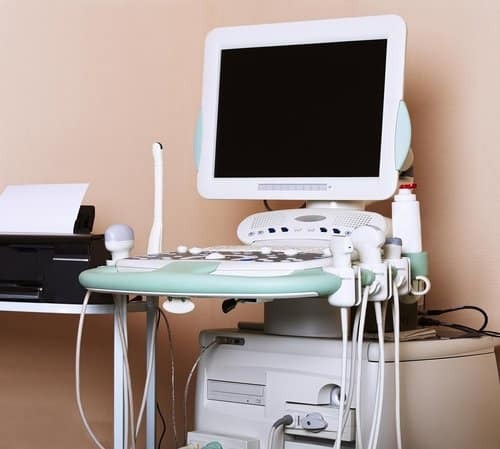 Q: After My Doppler Ultrasound Exam, what kind of Dr reads the Exam and gives my results? A: With 39 years of experience, Dr. Thomas Kavic, MD specializes in Diagnostic Radiology and Radiology. Dr. Kavic is affiliated with Heritage Valley Beaver, Heritage Valley Sewickley and East Liverpool City Hospital. Q: How many doppler exams do I need? A: Usually one Diagnostic Ultrasound per leg is all you need to begin a treatment plan. Depending on your insurance company’s guidelines you are recommended to have one after each treatment and every six months to monitor your progress, as vein disease is chronic and progressive. Q: What should I do to prepare for my Doppler exam? A: Where comfortable, easy to change clothes. You will be given elastic shorts to wear if you like. For a lower extremity vascular exam you do not need to fast, however the caffeine in coffee may affect some patients. Better results are obtained later in the day. Q: What does the ultrasound procedure feel like? Q: How does a Venous Ultrasound make an Image? A: Ultrasound uses sound waves to produce pictures of your veins and other soft tissue in the body. 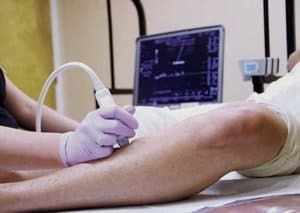 Sonography, performed by our Registered Vascular Technicians, uses a probe called a transducer to emit sound waves of a very high frequency undetectable to the human ear, like radar, to bounce of structures in your leg that are transformed by the computer into digital image. I can also show blood flowing through the veins and the doppler portion times the flow of the blood to qualify your symptoms. 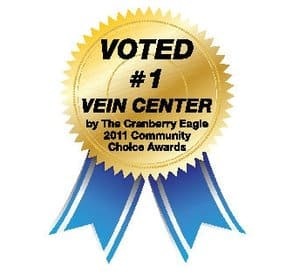 This allows our vein doctor to evaluate your veins in a very safe and comfortable manner with a high degree of accuracy. Q: My doctor said I have a DVT, should I be worried? A: DVT stands for Deep Vein Thrombosis and can be life threatening. You may only feel pain and swelling in one calf or leg, but what you can’t see, is a blood clot in a deep leg vein. It can break loose and move to your lung and block it. You will have trouble breathing and it can lead to death if not immediately treated. Q: How do I know if I have a DVT? A: The only way to be sure is to have a Doppler Ultrasound exam at an a ACR accredited vascular Lab like the Advanced Vein Center. Q: What is a PE- pulmonary Embolism? A: When a blot clot from the deep veins of the calf break off and flow to the lung, blocking flow, it is called a pulmonary embolism. It is a medical emergency and is life threatening, killing almost 200,000 people a year. Q: How do you treat a DVT? A: The most important step is early recognition and identification of a deep vein thrombus (blood clot). If you have no history of having a DVT or receiving prior treatment of a DVT you should be admitted to the hospital for care. IV blood thinners are generally initiated. Q: What are the goals of DVT treatment? A: Treatment goals for DVT are to immediately start thinning the blood with an IV medication like Heparin to keep the clot from growing any bigger. If the clots are large or multiple your Dr may recommend a filter to catch pieces that break off to prevent them from getting into the lungs. Third you need a plan to prevent any new clots from forming; this is often accomplished from a prescription of Warfarin (Coumadin) for nine months and for some at risk individuals, may last a lifetime. Lastly the patient’s painful symptoms -swelling and discoloration-must be addressed so the vessels don’t sustain permanent damage. Q: What is Post Phlebitis Syndrome? Q: Where do you commonly see DVT’s? A: Leg veins are the most common area to be associated with DVTs. It is because these clots can become large and flow back to the lungs the most easily and also show the most identifiable symptoms. Q: What are the symptoms of a DVT? A: The most common symptom of DVTs in the leg is painful swelling of one calf more than the other, especially when you stretch your calf by bending at your ankle-toes to nose. In addition if it is warm and the pain increases when you squeeze your calf, it is imperative to have it checked with a Doppler Exam at an accredited lab like the Advanced Vein Center. If at any point you feel short of breath, call 911 and go directly to the emergency room, because a blood clot could travel to your lung. Q: How did I get a DVT? A: Some people are genetically prone to get a DVT, for instance people with Protein C and S deficiency and Factor 5 deficiency. Others have medical conditions that promote DVT’s like Lupus. These medical conditions lead to “hypercoagulability”- being prone to form thrombus (blood clots). Examples are birth control, hormone replacement and smoking. Injury to the area is the second component of DVT formation; being hit with a soft ball is one example. By far the most common risk factor is surgery, especially knee and hip replacements or ankle surgery. This is why many surgeons “prophylaxis” prior to surgery, which means give the patient a medication to reduce the risk of blood clots around the time of surgery. 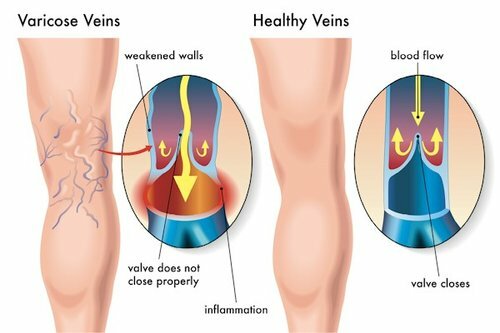 Inflammation for swollen legs can also damage veins which may lead to the formation of blood clots. Lastly inactivity is the third component of forming vein thrombi. That is why on long car trips or plane rides you should get up and walk around, and after surgery, or having a baby, your doctor will make you get up and move your calf muscles. Q: Besides a blood clot to the lung (PE), what are the other complications of a DVT? A: One of the most obvious and complicated problems caused by untreated vein disease is an unsightly, draining venous leg ulcer. 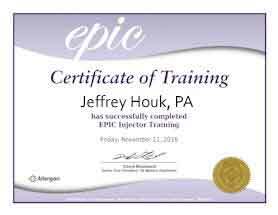 Sometimes it takes getting an infected leg ulcer before a patient finally makes an appointment. At the Beaver Valley Foot Clinic, Dr Teimouri specializes in the care of vein ulcers and coordinates care with the advanced Vein Center physicians creating a comprehensive program to get you on your feet again! Q: How can I prevent a DVT? A: When going on a long trip or airline flight, it is important to wear compression garments if you have venous disease. This will prevent post phlebitic syndrome, reduce edema, and keep you comfortable.After you have been diagnosed and treated for a DVT, these stocking must be worn daily for three years to help reduce the chance of reoccurrence. Exercise and getting up and walking every few hours will also help prevent a vein thrombus from forming, as will keeping well hydrated. Lower leg venography is used to study the veins in the legs. Phlebography is an x-ray test used to study the veins of the body. Find a good vein for a graft for bypasses. Drink only clear fluids or fast for four hours before the test. If you are nervous about the test, your doctor may give you a sedative. Arrange for someone to drive you home. After a catheter is gently placed into your vein, the contrast will be slowly injected. A tight band may be tied around your ankle or your lower body may be tilted. This helps to fill the veins with contrast. You will be asked to remain still as the doctor uses an x-ray machine to view the movement of the contrast through your veins. Take it easy for the rest of the day and avoid any strenuous activity. Drink a lot of fluid for 24 hours to flush the remaining contrast from your body. You may shower and remove the bandage the day after your test. Ask your doctor about when it is safe to shower, bathe, or soak in water. Most people are able to return to normal activities the day after the test. The test takes around 30 minutes, sometimes a bit longer. It may be sore at the injection site during the test and tender for a few days after. Some people feel mild discomfort throughout the body, or nausea as the contrast fills the veins. A normal venogram reveals that the blood flow through the vein is normal. An abnormal venography means that there is something blocking blood flow through the vein. If the results are not normal, your doctor explain possible further studies or treatment.